This class opening in mid to late March 2018 focuses on several contemporary floral painting techniques and design. 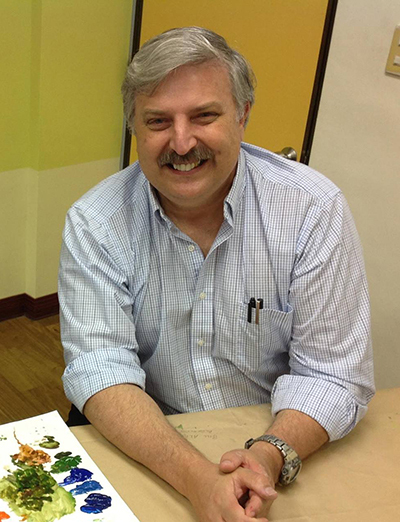 Grab your brushes and enjoy a full complete days of designing and painting with David. 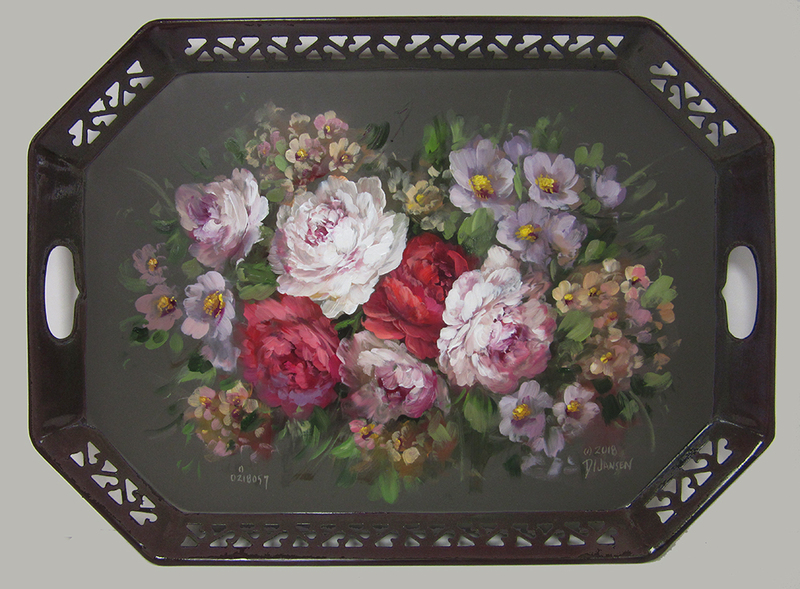 Create wonderful peonies, roses and blossoms while using a variety of flower painting techniques from half toned color to his wonderful shear techniques. 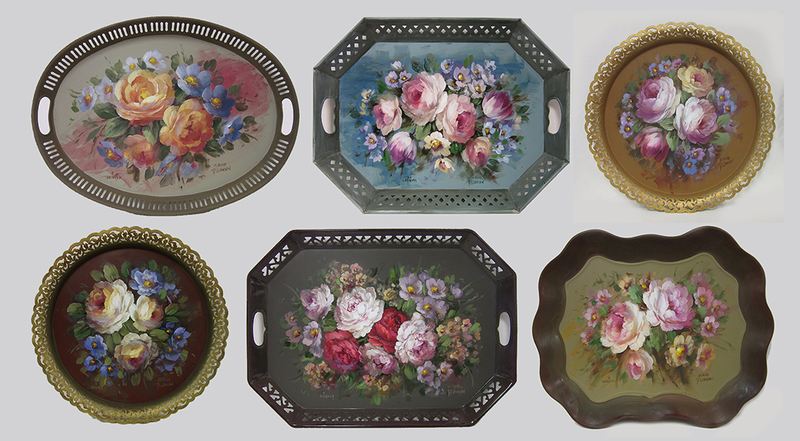 Learn how to recondition and design on metal trays giving them new life and beauty. Finally learn how to achieve a professional finish that is sure to impress your viewers. > Class Fee is $99.95 for 12 hours of video instruction and all downloads. > Special refinishing video. 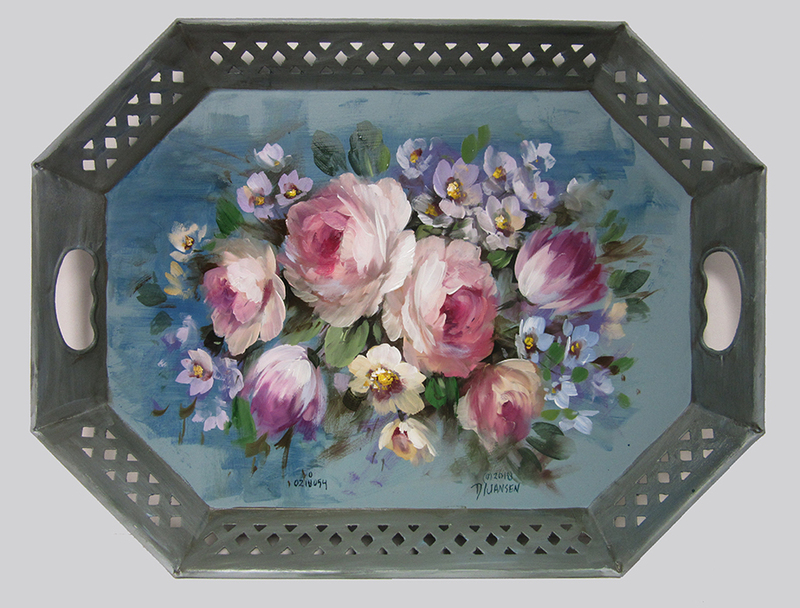 Learn how to recondition a metal tray for new decoration! Click This Link To Register For the Class. 6 - 1-2 hour videos with shown to complete painting. All steps shown in video.